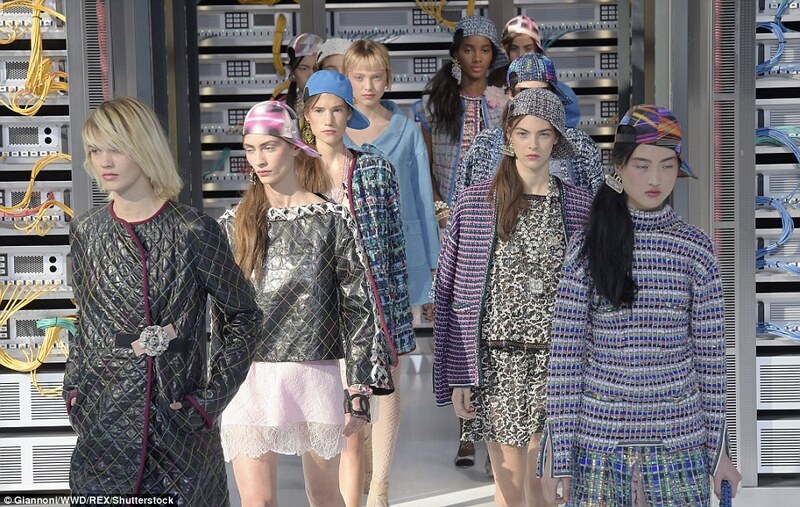 So Chanel has managed to approach a younger audience: through futuristic and new technologies. For some time now, we are in the millenial generation, obsessed with fashion brands and fashion around the world, every moment, every brand. It is therefore no wonder that Chanel has decided to set its runaway alluding to this generation that is sweeping wherever he goes. Attached to it, the scenery was stunning and was based on Big data, which has made the Grand Palais in Paris became for a few minutes in a total space atmosphere. With this scenery we´re not talking about made a critic to the world of the digital, but they have tried to venture into these new generations without us realizing it. His designs have been the most representative of the brand: the legendary bag 2.55 or two-piece tweed. However, the clothes were wrapped by LED lights, colored wires and cathode ray tubes and also show off a futuristic models with masks simulating robots with a very similar Star-Wars aesthetics. Next to them, a renewal of footwear that Karl Lagerfeld wanted to do with the classic signature bicolor shoes and white flat shoes. In addition, one of the details of this runaway is that we can see how all the models look a cap sideways and backwards, a new look that we have already seen in many of the millennials at the moment and that is winning (and so it seems to continue triumphing up within a couple of years). No doubt this is how Chanel has managed us to fall in love again with their amazing designs and in this case also with a start scene worthy of admiration, although fashion doesn´t understand about ages.